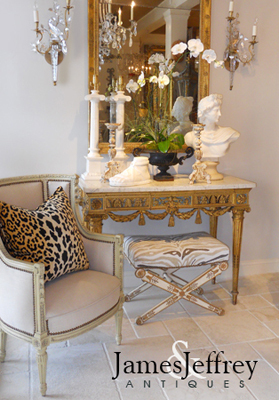 Pair of mirrors, of carved wood, with antiqued painted finish; each having a rectangular mirrorplate with canted pediment, inset with antiqued mirror, flanked by faux bamboo stiles, surmounted by a gilt metal ball and palm leaves, matching mirror on its base. These mirrors were designed for this pair of consoles. CLICK HERE.. CONDITION: New. Distressed painted finish. 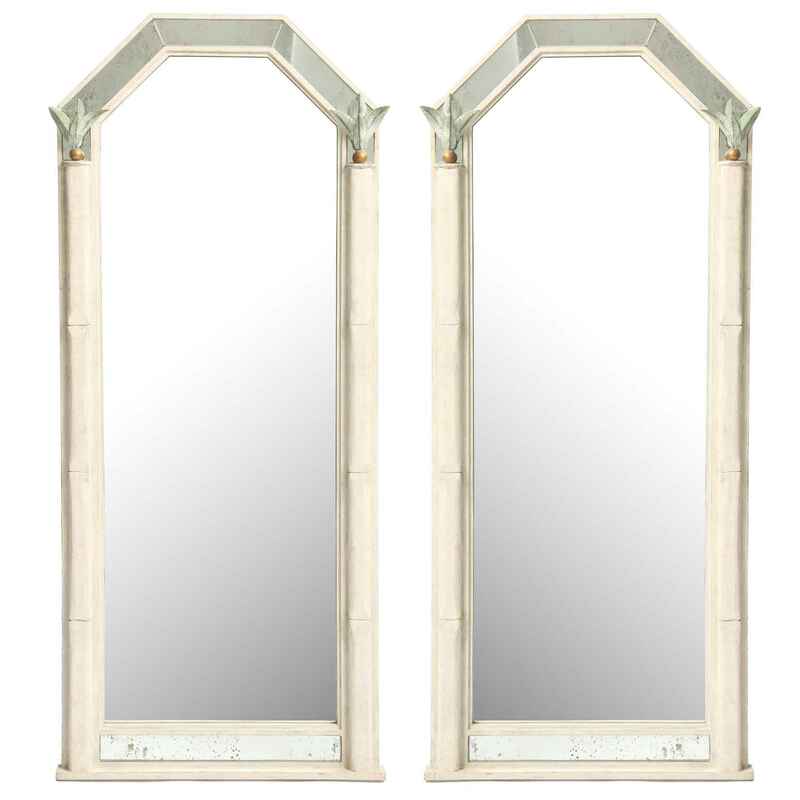 Pair of mirrors, of carved wood, with antiqued painted finish; each having a rectangular mirrorplate with canted pediment, inset with antiqued mirror, flanked by faux bamboo stiles, surmounted by a gilt metal ball and palm leaves, matching mirror on its base. These mirrors were designed for this pair of consoles. CLICK HERE.. CONDITION: New. Distressed painted finish.